Pianist, composer and arranger born in Buenos Aires (Argentina) November 4th of 1960.. The combination of a prolific work (seven CDs in five years) and his particular approaching to tango and other ways of argentine popular music from a clearly jazzy esthetic, have given to him a great acceptation in and out Argentina. Among others, he has been nominee three times to the Latin GRAMMY, for his records “Las Tardecitas de Minton’s” (2000), “Tango Reflections” (2002) and “Las Cosas Tienen Movimiento” (2003); he obtained the “Premio CLARÍN” as the “Best Jazz Musician of 2002” and the critics of the spanish magazine CUADERNOS DE JAZZ voted “Las Tardecitas de Minton’s” and “Tango Reflections” among the records of the year. The first one represented, also, a sell succeed for a jazz record in Argentina. Recently, he got the PLATINO KONEX award for his artistic work between 1995 and 2005. He has just edited Astor Changes in cd and dvd with his new gropu the TANGO REFLECTIONS TRIO featuring Pablo Mainetti and Horacio Fumero . For this work he got very good reviews both from the critc and the public. The group was in 2004 Madrid Jazz Festival, sharing the stage with Brad Mehldau trio. It has also been around, playing in differents cities from Europe and Argentina. On march 2006, during the last Buenos Aires Tango Festival , he offered a duet concert together with the accordeonist Raùl Barboza, for an audience of more than 5000 people. This reunion shows Iaies permanent concern of exchanging experiences with musicians from other countries and / or traditions as Barboza or Liliana Herrero. In the other side, in April of 2001, the DOWN BEAT magazine dedicated a whole page to him, something that only had happened before with Astor Piazzolla and Gato Barbieri, among the argentine musicians. The critics of this magazine also voted him as one of the “rising stars” in the 2003 polls. The French magazines JAZZMAN and JAZZ MAGAZINE have praised his work. On April 2002 Iaies played three piano concerts in the prestigious Lincoln Center of New York in an spectacle entitled “Nights of Blues, Havaneras and Tangos”, sharing the stage with Paquito Hechavarria y Arturo O’Farrill. (4, 5 and 6/4/02) and in July of the same year presented his CD “Round Midnight & Otros tangos” in the prestigious Auditorio Kuursal, during the Festival de Jazz de San Sebastián. At the beginning of 2002, he shared the night with Toots Thielemans and Kenny Werner, in the Festival de Jazz Internacional de Punta del Este. He shared the stage with Ron Carter, Stanley Jordan, Yellowjackets, Lee Konitz, Richard Bona and Pedro Aznar, among others. 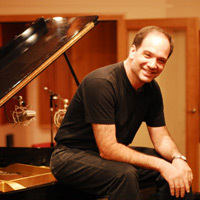 On November 2001 he played at “La Semana de Jazz Latino de Madrid”, both to Bebo Valdés, in the middle of a tour that he realized for Spain presenting “Tango reflections”, (Ensayo, RBA música), the first of three CD’s that he recorded in Barcelona with Horacio Fumero, Pablo Mainetti and David Xirgu. In October of 2000, the Trio performed at the "Festival Internacional de los 7 Lagos", along with other artists such as Michael Brecker, Dave Holland, Nicholas Payton, John Patitucci, Chucho Valdes, Dino Saluzzi, etc. Also in October of 2000, the Trio played at the "Tercer Festival Argentino - Brasilero de Jazz de New York". During February of 2001, the Trio visited USA playing first in Aspen, Colorado, and then, in the “Miami Film Festival”, sharing the stage with Bebo Valdes, Cachao, Jane Bunnett, Freddie Cole, and many others. Iaies is a permanent guest and remarkable artist in the Tango Festivals of Buenos Aires. He has studied with the most important musicians of Argentina, and he has a close relationship with Manolo Juárez, his composition and orchestration teacher during many years. Since 1985, Iaies dedicates himself to the music teaching and he also guides workshops for the teaching improving and gives diverse music clinics. 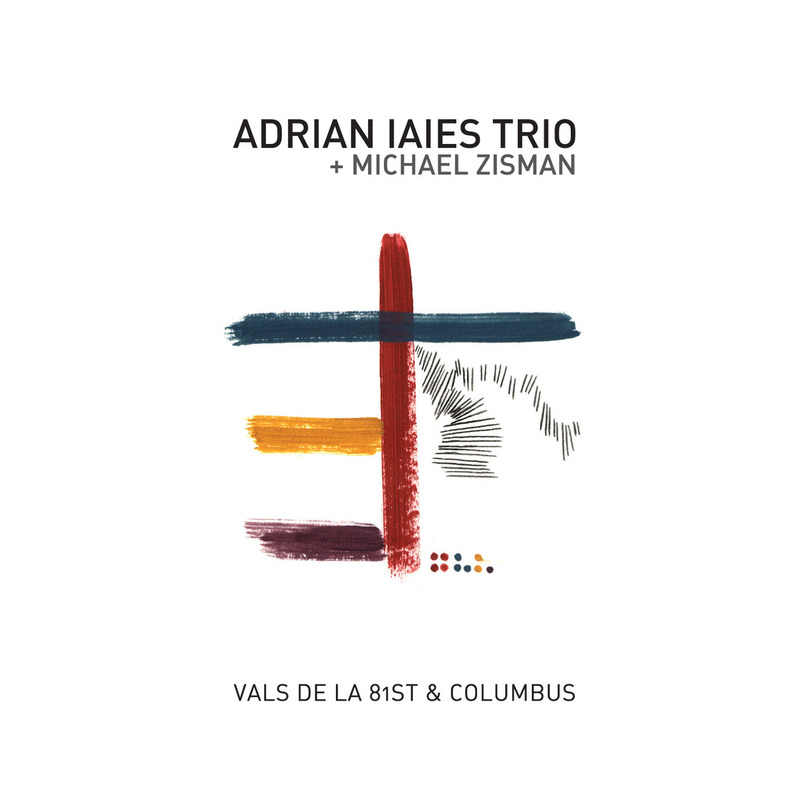 Iaies is the creator and artistic director of SJAZZ label from EMI ODEON, that edits argentine jazz musicians cds.